Senior guard Josh Adams notched 32 points, but the University of Wyoming men’s basketball team dropped a 71-60 game at Fresno State on Tuesday night in the Save Mart Center. The Cowboys (10-12, 3-6 MW) were within three points with six minutes left, but the Bulldogs (14-7, 5-3 MW) closed the game on a 17-9 run. The Cowboys led the majority of the first half and opened the second half with a three, but went cold from there. Wyoming would suffer through a seven-minute stretch without scoring to go down four at 46-42 midway through the half. Back-to-back threes from Adams sparked a run that put the Pokes back in front by three, but the Bulldogs quickly retook the lead. The Cowboys would mount one last effort and were down three with six minutes left, but Fresno State would finish on a 17-9 run to hold off Wyoming. Adams tallied his seventh game this season with 30-or-more points and moved into 11th all-time in scoring at Wyoming with 1,579 in his career, but was the only Cowboy to reach double figures against the Bulldogs. Adams three assists also moved him into ninth in Cowboy history with 345 in his career. Alan Herndon, Hayden Dalton and Jason McManamen all had six points each, while Herndon grabbed a team-high seven rebounds and McManamen tied a career high with four assists. Wyoming shot 53 percent from the field in the first half, but just 21 percent in the second half to finish at 35 percent (15-of-43) with a season-low 15 made field goals. The Pokes made 38 percent (11-of-29) beyond the arc. Fresno State his 42 percent (23-of-55) from the field and 28 percent (5-of-18) from deep. The Cowboys were outrebounded 39-26, including 12-2 on the offensive glass. The Bulldogs committed just seven turnovers, the second fewest for a UW foe this season, for a 22-6 advantage in points off turnovers, a season high for a Poke opponent. 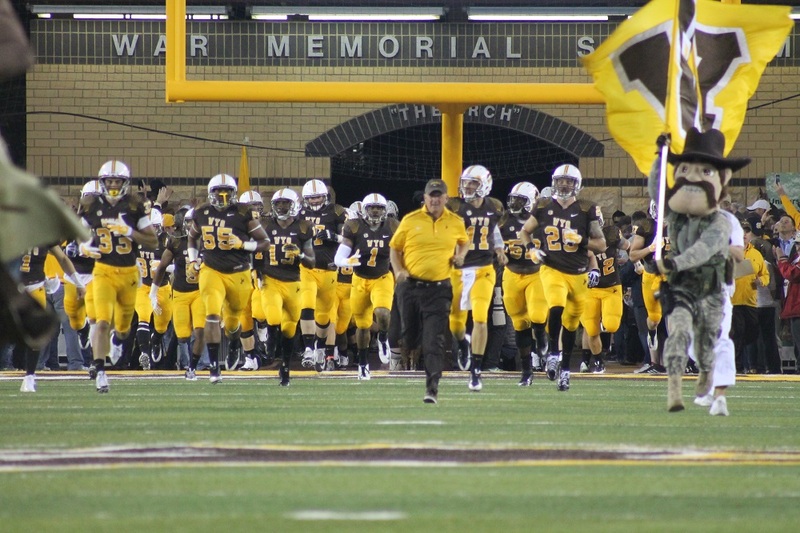 The Cowboys returns to Laramie to host Colorado State for the Border War on Saturday at 4 p.m. MT.